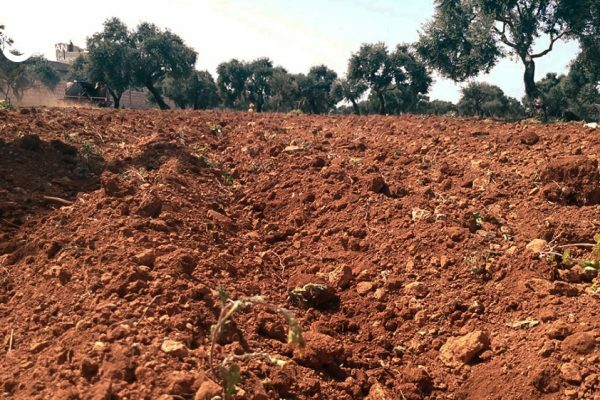 In Syria, which has been suffering from a continuous war for more than seven years in which the number of victims exceeded 500 thousand Syrians, caused the displacement of half the population, and damaged the economic and agricultural pillar in one of the oldest countries in the world that knew and flourished agriculture. 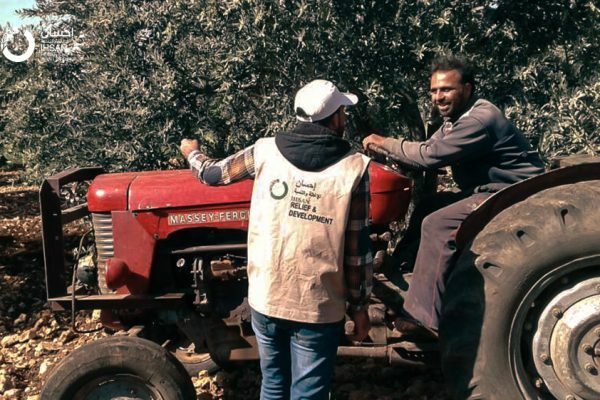 Not long ago, before the outbreak of recent events, farming provided a quarter of Syria’s economic output and employed a quarter of its workforce. 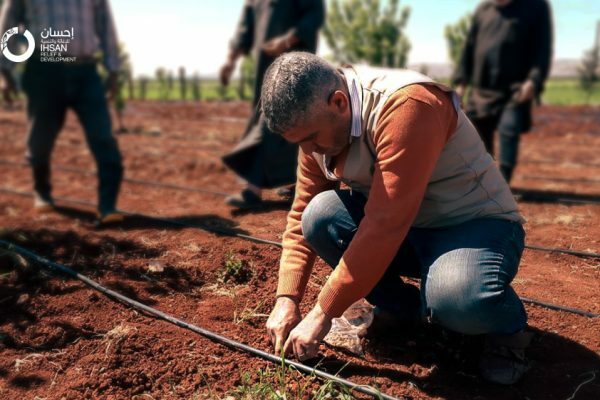 However, the systematic war and bombing in areas that have been out of control of the Syrian regime since 2011 have destroyed infrastructures, such as irrigation canals and grain silos, and crippled a state system that once provided farmers with seeds and purchased their crops. 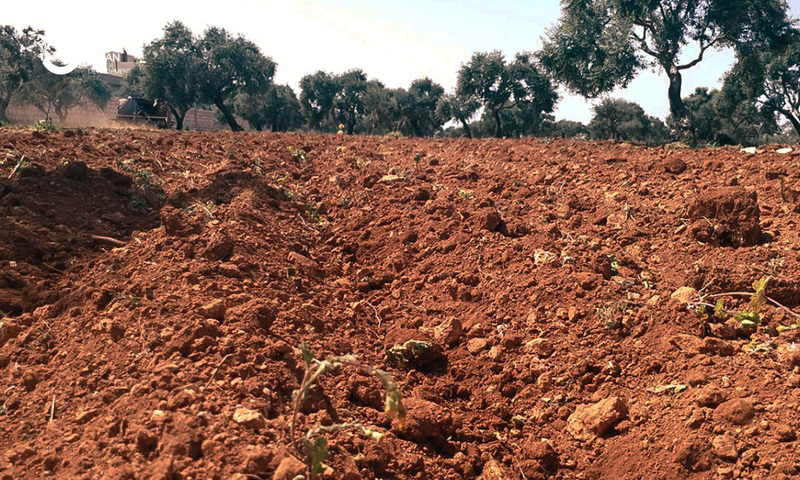 A sustained drought has only exacerbated the humanitarian crisis. 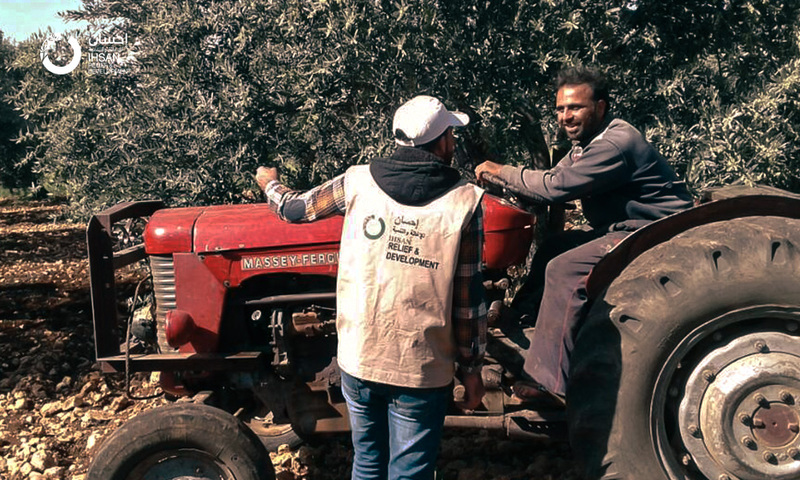 IhsanRD has intervened to assist farmers and vulnerable families in IDP’s host communities in order to enhance their ability to produce the various crops and food needed to feed their families and children. 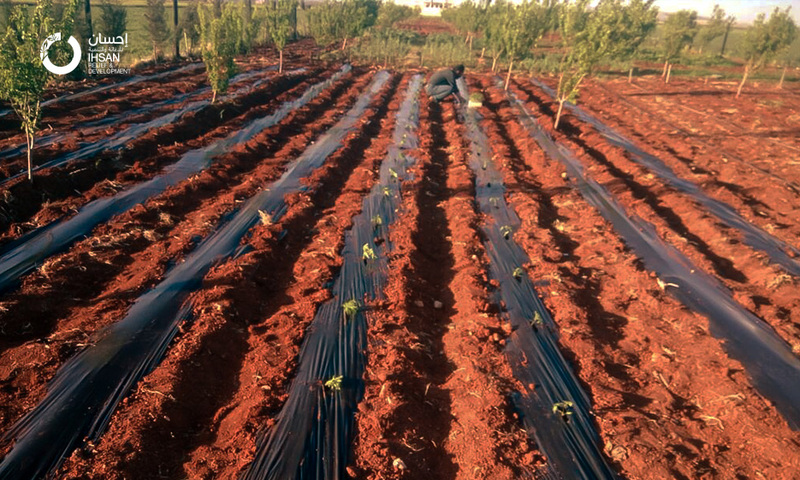 The first activity is supporting for 3600 households to plant their houses’ gardens by supplying them with seeds, drip irrigation systems, tanks and agricultural tools. 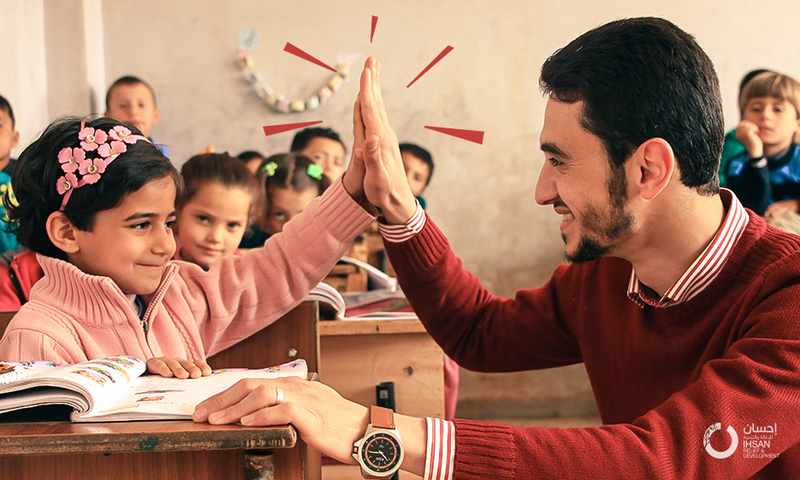 This part of the project will extend over a period of 3 years so that each year will have new beneficiaries. 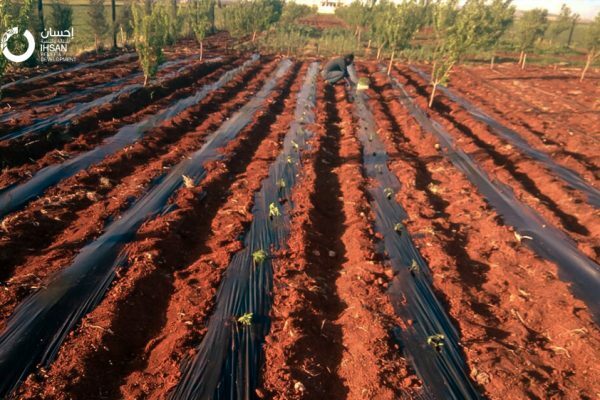 Each family will receive two sets of gardening inputs per year for the winter and summer seasons. It will suffice for a garden area of about 1 dunum and provide an additional supplement to the food needs of each household. 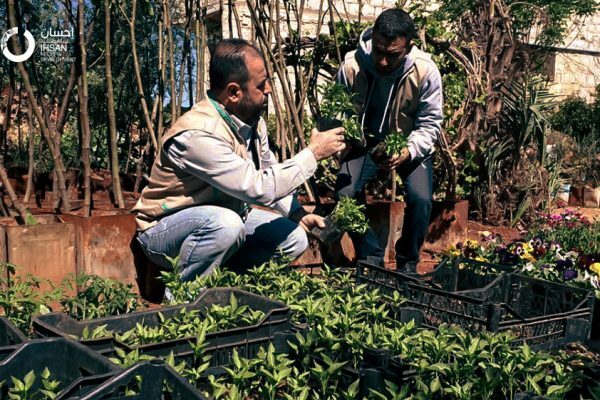 The provision of inputs to the beneficiaries in the form of vouchers distributed in summer and winter can be replaced by a set of garden tools and inputs that were designed and studied in advance in the local stores. These kits will increase the accessibility of families to low-cost food and improve their food diversity. Umm Rami was displaced along with her four children from the southern countryside of Aleppo towards Idlib governorate. 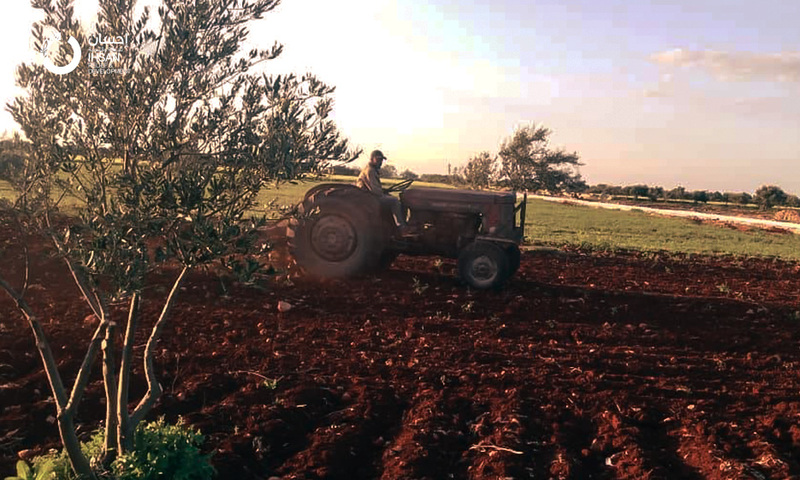 She has no income source after her husband’s absence two years ago, forcing her to work in the farms adjacent to the town where she lives now. 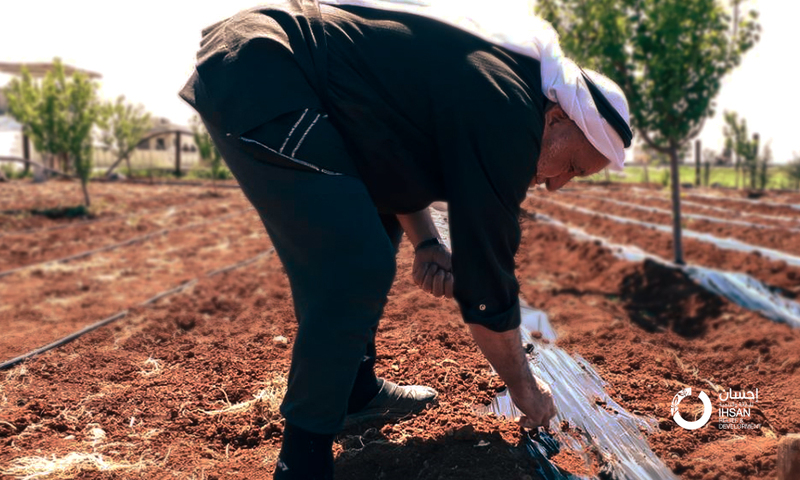 This prompted her to cultivate the small plot of land attached to her temporary home with her children after her application for the IhsanRD home garden support project was accepted. 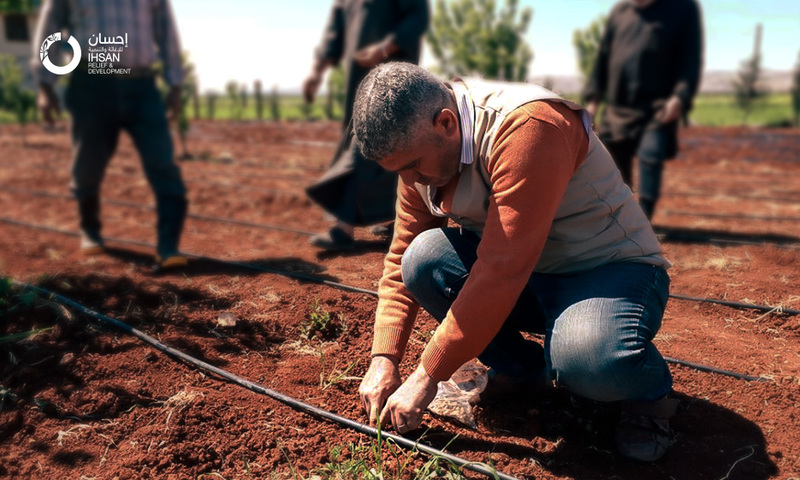 “I’m very excited to start planting the garden behind my house, so my family will get the vegetables they need in their food instead of getting them at a high market price,” says Umm Rami. 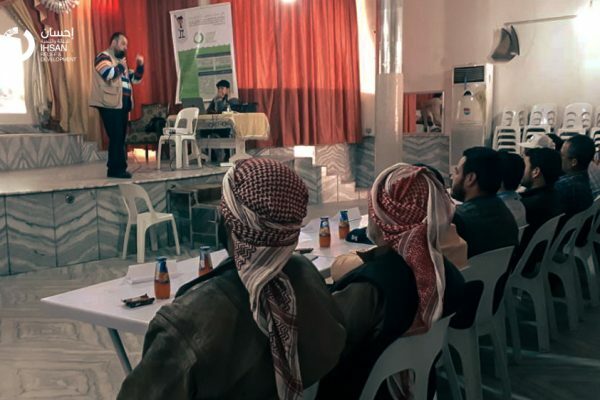 This part of the project also includes 6 practical training during the duration of the project. 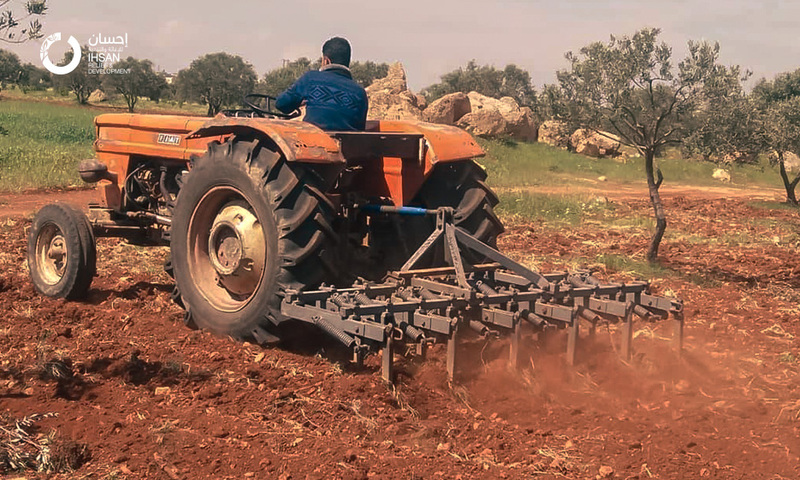 Focusing on improved agricultural practices, best practices, and climate-smart agricultural techniques. 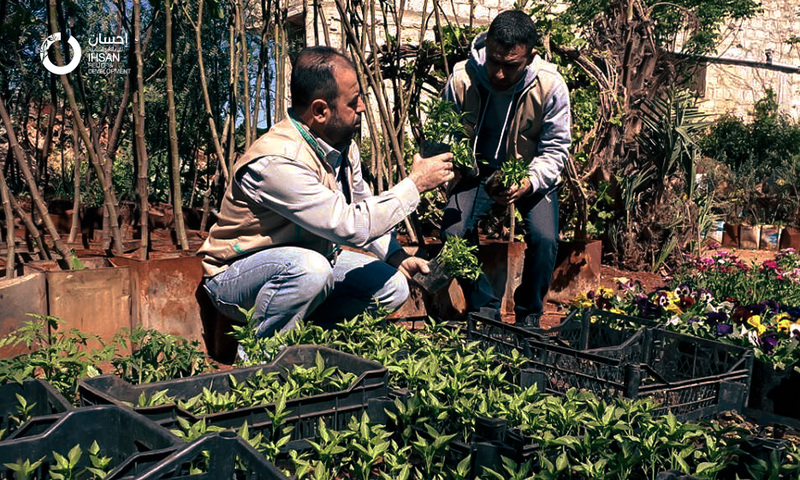 Training will be complemented to include a section on sharing experiences from the past year to support a review and improvements in agricultural support programming among humanitarian and development actors. 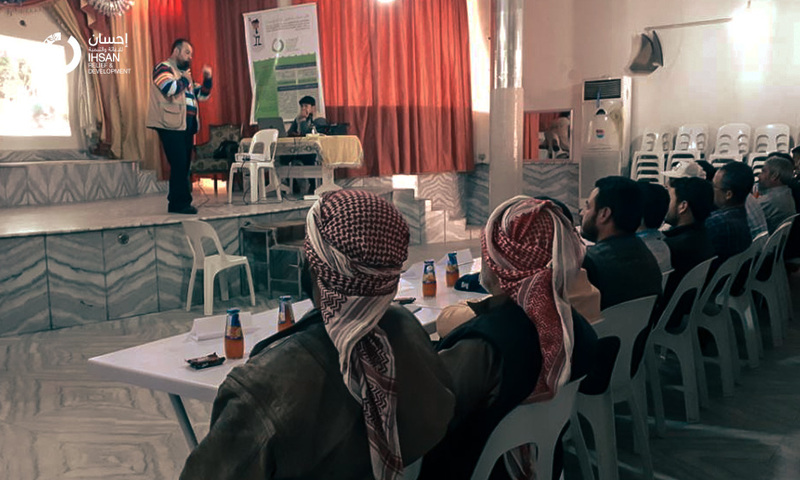 The training includes topics on plant care, harvesting techniques, and seed collection and production techniques so that farmers can sustain themselves after the end of the project. 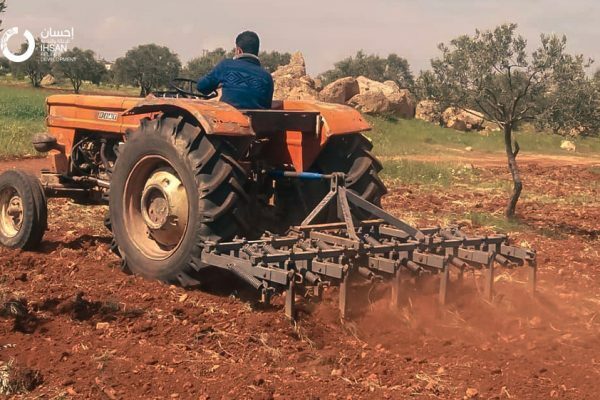 The second part of the project is aimed at supporting farmers in agriculture and training in the area of Bensh, where the plowing service is provided to olive farmers. 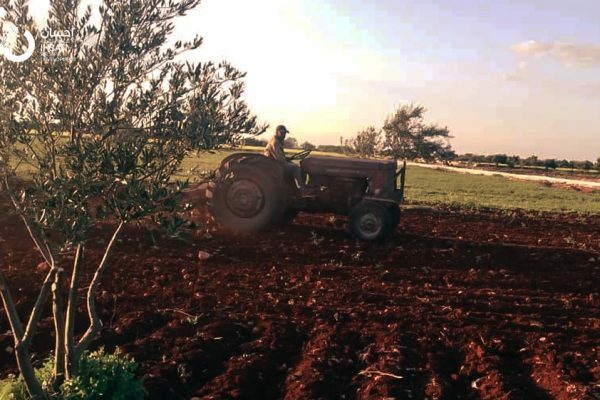 500 farmers will benefit from this activity, equivalent to 1250 acres of plowed lands. In addition to providing support in the cultivation of wheat to farmers by providing them with agricultural inputs and the practical training of about 140 farmers.